Have you discovered Enormity yet? Just stumbled across the incredible images of photographer Jaroslav Wieczorkiewicz. There’s no illustration technique used in the following images – just some pinpoint lighting and photo composites. 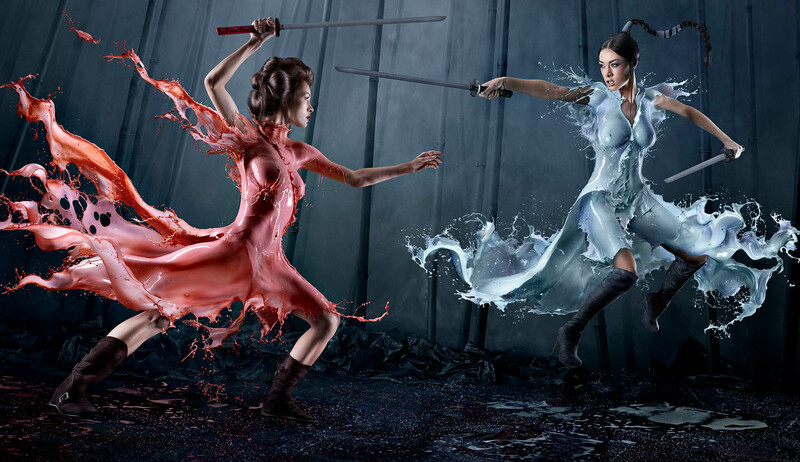 The artist and his assistants splash liquids across the bodies of naked females and then layer hundreds of splashes to create incredible outfits and other imaginative attire. Some of the following images are from a new collection that reinvents the pin-up girls of the ’40s. It’s titillating, sure, but also very clever. Enjoy. Some really inspirational images in this series! One of the best examples of the technique I have found.